Sometimes you just need a stiff drink. 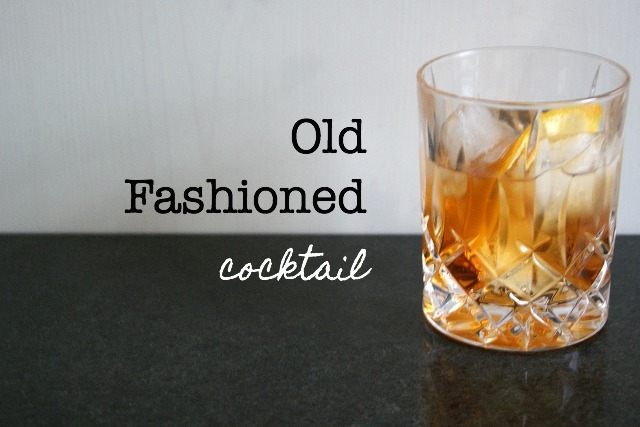 And when the time comes, they don’t get much stiffer than an Old Fashioned cocktail. Plus, it makes me feel slightly like I’m in Mad Men which is always a winner. 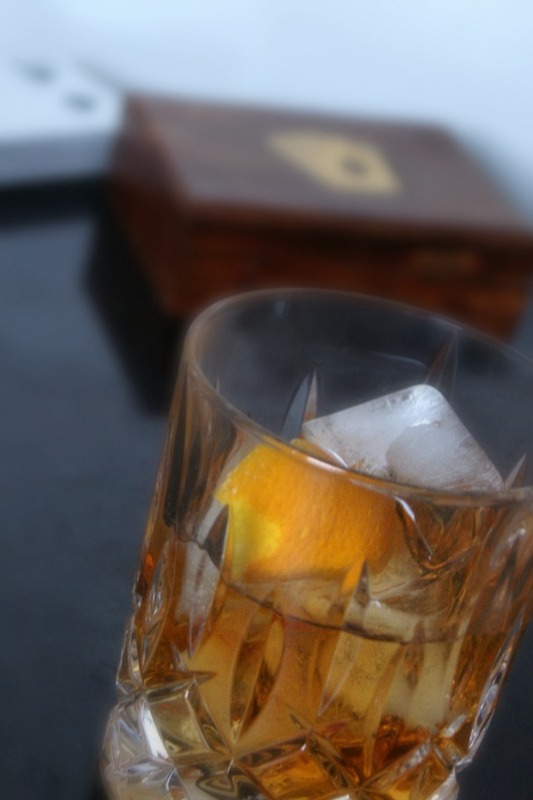 Making an Old Fashioned takes patience. And a lot of stirring. First off, drop your sugar cube into your glass and add a couple of dashes of angostura bitters on top. After a couple of seconds, smash up the sugar cube (with a special cocktail mixer if you’re serious, or a fork if you’re me). Add two shots of whisky, two ice cubes and stir. I mean stir for Britain (or, you know, your own nation of choice) because dissolving sugar in booze is no mean feat. After a good stir, add the final shot of whisky and some more ice cubes. Stir, stir, stir again. Add some more ice cubes and keep stirring until you’re confident those little sugar crystals have all been obliterated. Once you are, twist the slice of orange peel over the glass so it rains all it’s lovely orange oil down on your drink and pop it into the glass. Finish by adding the cherry for garnish.